Ballistix® Tactical Tracer RGB 3000 memory allows PC modders and gamers to light up their systems with RGB brilliance with the ability take control of their memory and colour scheme while providing the increased performance and stability they expect from Ballistix memory. 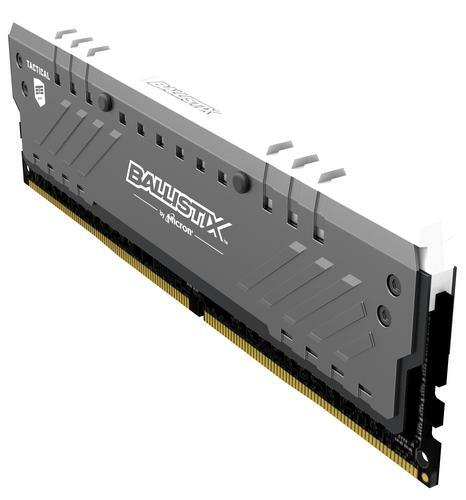 With speeds up to 3000 MT/s, Ballistix Tactical Tracer RGB memory allows gamers to monitor memory temperatures in real time and manipulate RGB lighting with the Ballistix® M.O.D. (Memory Overview Display) Utility software. In addition to increasing personalisation, users get all the features of the Ballistix Tactical series including XMP profiles, stylish black PCB, and custom heat spreaders.